Summer tournament dates announced! 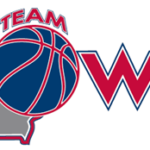 All teams looking for a competitive tournament with all games at the Iowa Sports Center, Team Iowa’s four court facility, should check out our tournaments. We have quality refs, great atmosphere and full concessions. If your team is looking for a great tournament check out our Events Page! Summer Camp dates announced! All players looking to gain that competitive edge in the off season should check out our camps. All camps organized and run by Coach John Gianforte. Coach G brings years of expertise in the game of basketball and pushes players to become better in a competitive yet fun environment! If you are looking for a quality camp to send your child to check out our Academy and Training page!